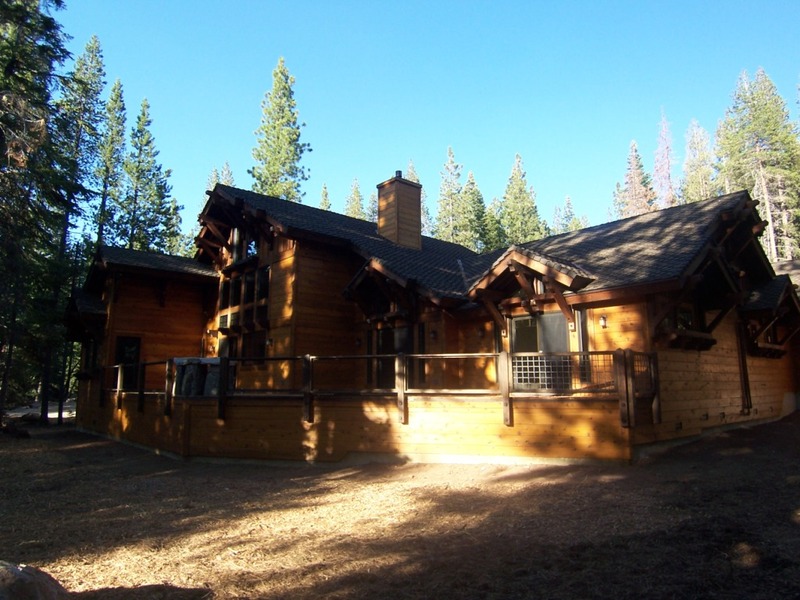 Here is the house built in Tahoe Donner community. 3000 sq.ft. on 11 acre lot. 1 story with little mezzanine over entry. 3 bedrooms, 3-½ bathrooms, 3 car garage, mezzanine can be used as an office, huge rear deck, laundry, mechanical room and lots of storage for sport equipment. Exterior has quite heavy look with 72 outlookers, supporting eaves and 42 corbels.